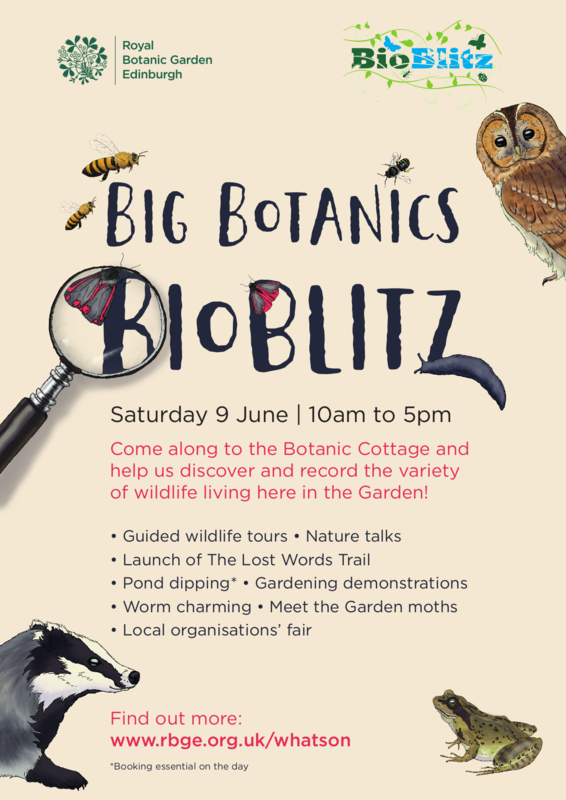 As part of our BioBlitz festivities, we are hosting four fabulous speakers to talk on a range of wildlife-related topics. Join Dr. Robert Mill as he reports on a history of wildlife recording at the Botanics. Learn all about the vast array of species that have called the garden their home. Before his recent retirement, Robert was the driving force in all things biodiversity. He has collected years worth of wildlife records and increased enthusiasm and understanding about all of our migrants and residents. There are currently 999 records for the Garden but what will be the 1000th? 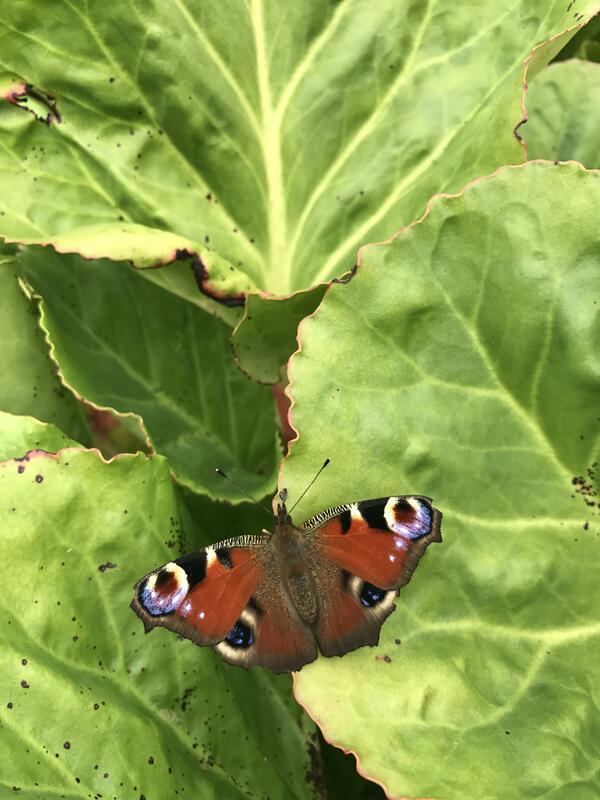 Listen to Rik Morley, founder of Wester Hailes Wildlife, discuss how surprising the biodiversity can be right here, in the heart of our capital city. He has been watching the skies for many years and will divulge some of his most exciting records. You’ll also gain insight on how to identify different species. Gardening for wildlife has enormous potential. There is a lot of advice and all sorts of products out there for the would-be wildlife gardener. But what works, where do you begin, and what can you do if you don’t even have a garden? Max Coleman, RBGE Science Communicator, suggests tried and tested things you could do to attract wildlife to the smallest of spaces. Bats are amazing creatures but how much do you know about them? 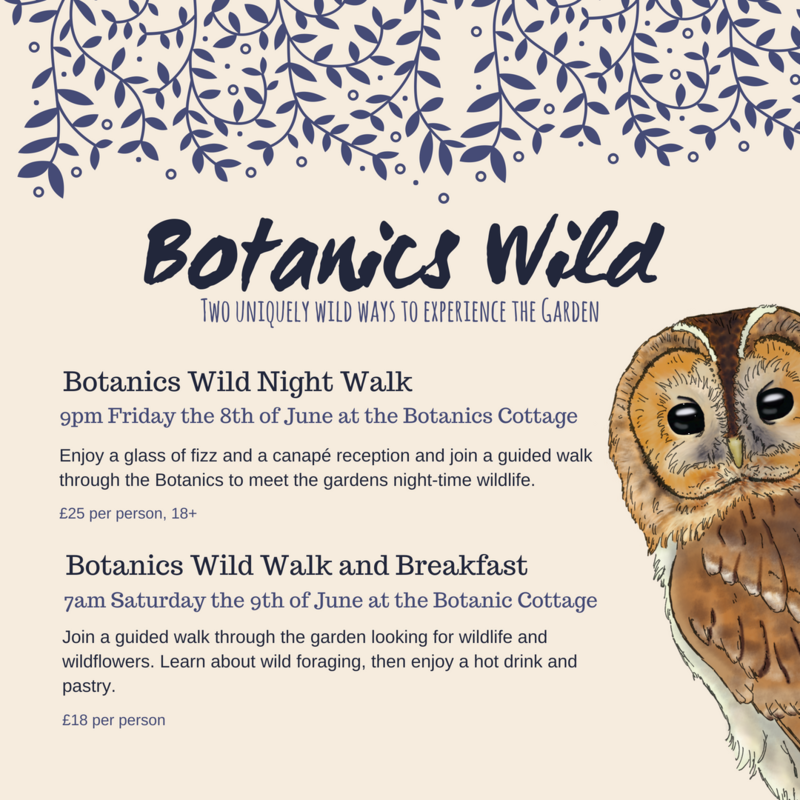 Join Natalie Todman, of Lothian Bat Group, to find out the basics of bat biology and ecology, and discover which species are flying in our area. Join us this Saturday over at the Botanic Cottage for the opportunity to hear these incredibly informed speakers discuss our environment! Please remember that although they are free for anyone to attend, places are limited so arrive with plenty of time to spare.